Amae laser skin solutions is a professional medical facility offering quality cosmetic skin procedures including Botox, Restylane, Juvederm, laser hair removal, Cool Lipo liposuction, and more. Dr. Edward Chiang and Dr. Henry Leung are trained in laser dermatology and are proud to serve patients of all skin types including Asian, Hispanic, African American. 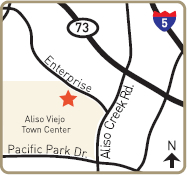 Our two locations are proud to serve San Gabriel Valley, Orange County, Aliso Viejo, Irvine, Rosemead, and Pasadena.